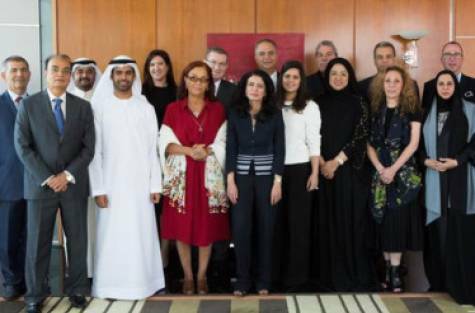 Dubai Design and Fashion Council held its first board meeting that announced board members as well as the way forward to make Dubai THE destination for design and fashion in the region. The council was set up following the directives of His Highness Sheikh Mohammad Bin Rashid Al Maktoum, Vice President and Prime Minister of the UAE and Ruler of Dubai, earlier this year. The council is chaired by by Dr Ameenah Al Rustamani, group CEO of Tecom Investments, the company developing the Dubai Design District (d3). Laila Suhail, the CEO at Dubai Festival and Retail Establishments, the organisation behind Dubai Shopping Festival and Dubai Summer Surprises, will act as vice chairman. Nez Gebreel, the founder of Noon Arts Gallery, who was instrumental in helping Victoria Beckham kick-start her fashion career, will be the CEO. — Nisha Jagtiani, the director of Landmark Group.